Using Virtual Reality as the primary tool, students will learn how to animate characters, objects, cameras and lights to create animations that come to life in front of viewers in 3D space as in real life. Next course runs from May 2nd 2019 – for 6 weeks (7-9pm Thursday nights) Book now! 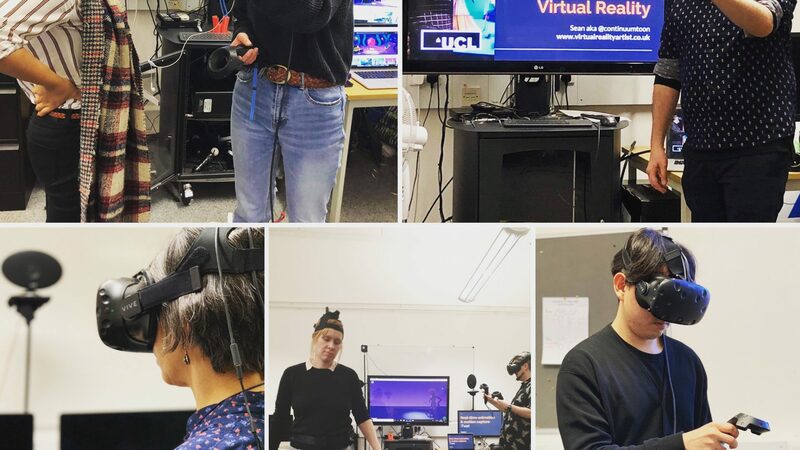 Sean’s UCL Masters Immersive Factual Storytelling Students – VR Animation Class – Using AR to display their animations.